Introducing the newest addition to our collection of Storage And Trunks, this beautiful Set Of Brown Snakeskin Chests is a perfect modern addition to add to your home for an instant interior upgrade. 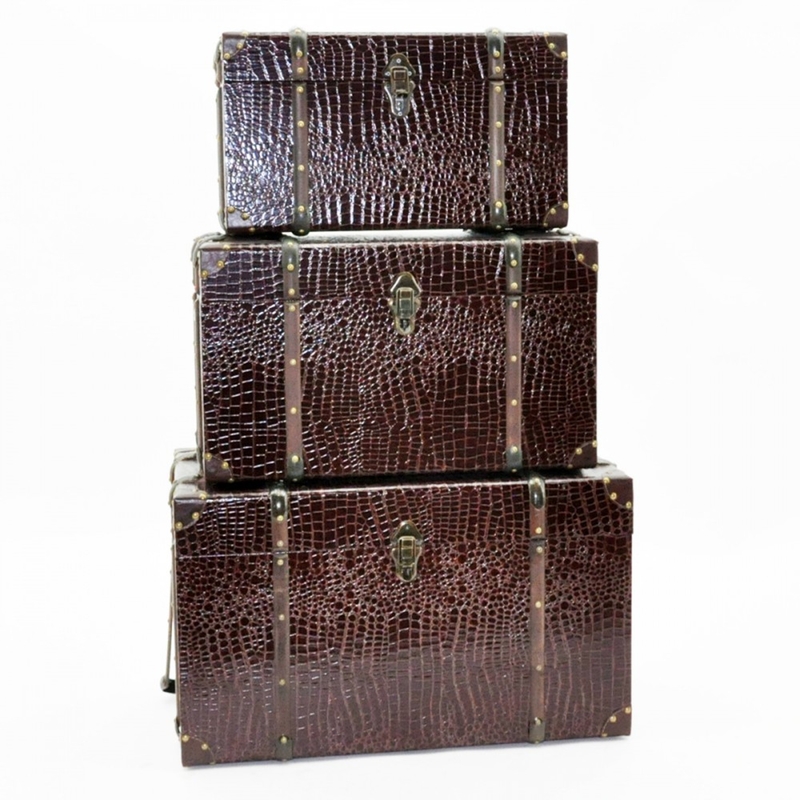 Complete in a brown colour and with a snakeskin leather design on each trunk these chests will give you a focal point in the room they're in. Each chest is smaller than the other so you can easily store all trunks in one if you ever needed too. Made to the highest quality these chests are a must have addition and will last your a lifetime.